Who doesn’t know the Venetian Las Vegas? Most noteworthy, this is one of the magnificent facilities of the Strip. The hotel stands out to be one of the biggest in the west. 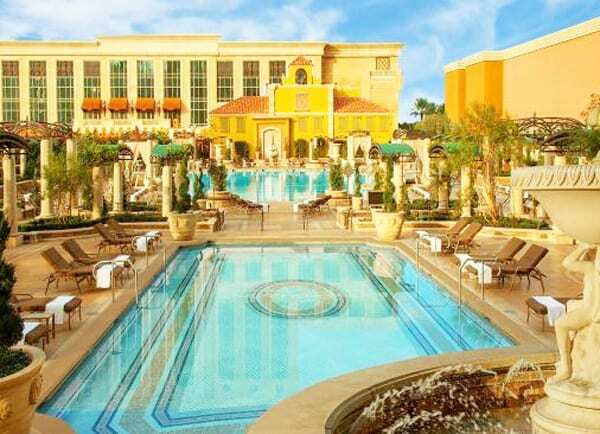 The Venetian boasts more than 5, 000 guest rooms. There is everything you need here. Standing in two large towers, the Venetian is an iconic hotel in Vegas. Many people who visit the Strip usually want to have a feel of the place. The facility has a ‘canal.’ From here, visitors take a gondola ride. There is a moving escalator floor in this resort. This escalator leads visitors to a Sephora. You can also access the Madame Tussaud’s Museum using the escalator floor. Next, to the check-in section, you will see the lobby. The suspended ceilings in the lobby look stunning. The gold paint and the serenading are all emblems of beauty. They make the Venetian stand out. Can you imagine being in St. Mark’s Square in Italy? You don’t have to travel that far to Europe. It is right inside the Venetian. Whichever way, you will feel as if you are in Venice. Are you wondering if the more than 5, 000 rooms will fit in what amount of space? Well, there are two towers. One tower almost accommodates all the rooms. The Venetian Tower is home to the majority of the rooms. It has 4, 027 guest rooms. Venezia that comes into existence in 2003 houses 1, 013 rooms. The two towers make up the Venetian Las Vegas. When you step inside the Ornate Baroque lobby, you will feel at home. The welcoming scent is so unique. A section of the visitors loves the scent. There is another section that will never stop sneezing. You will never know what the staff sprays. After all, the aroma is very distinctive. It is nowhere else in the Strip. There are those who visit the facility for this reason. The facility sits at the north end of the Strip. It comes in between the Harrah’s and Palazzo. The Mirage is across the street. Because Venetian is a big hotel, every visitor wants to check in. Cabs fly the highways close to the facility all day and night long. So, finding your way to the resort is not a hard task. The monorail at nearby facilities helps ease transportation to and fro Venetian. The Venetian rooms are among the most-sort in the Strip. Here, you will find sunken living rooms. Above all, This creates a much difference between the two suites. You will find three flat screen TVs in most suites. A separate bedroom area, a sunken living room, and beautiful interior décor characterize rooms. A standard room here at the Venetian is 650 square feet. Also, this makes the suites some of the biggest here in the Strip. There is a bustling pool deck where the public can swim and sunbathe. You will also find Tao Beach. Also, this is an adult-only pool center. Close to it is a fitness center and a world-class spa. The two have an indoor climbing wall. So when at the Venetian Las Vegas, you don’t need to go out.